Blake Shelton tickets can be purchased here where you'll discover a gigantic choice of affordable concert tickets. Booking your Blake Shelton tickets here is easy and secure. Either choose the Blake Shelton concert above to purchase them online, or call us at 1-866-837-0608. You can search the times and dates in the tour schedule above to find the specific Blake Shelton concert you want to attend. Click on the red 'View Tickets' button to see all the available seats for that Blake Shelton show, along with an interactive seating chart that will help you locate the best seats for your price. 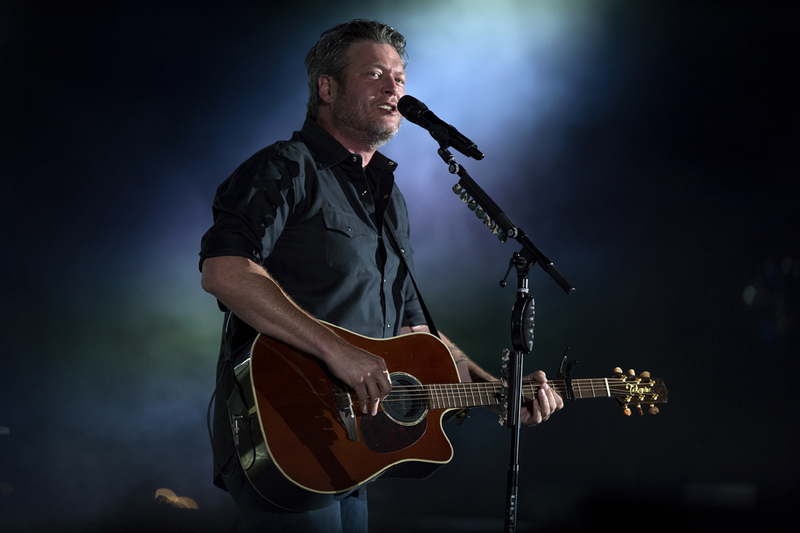 You'll have to choose how many tickets you want to purchase for the Blake Shelton concert tour, and then you'll be brought to our secure checkout. Blake Shelton ticket prices may be above or below face value and can fluctuate. 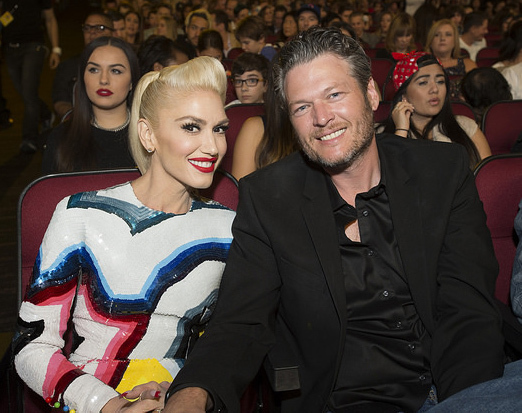 You'll find cheap Blake Shelton tickets here at relatively affordable prices. Discover a wide range of Blake Shelton tickets available depending on the venue, including cheap discount seats or last-minute tickets, center stage tickets, floor seating, front row tickets, balcony seats, group tickets, general admission, VIP tickets, backstage passes (sometimes with meet-and-greets), discount tickets, parking passes, e-tickets or sold out concert tickets too. Also, some tickets to the Blake Shelton tour may be available for immediate download as e-tickets, or electronic tickets, that you can print right from your device. Blake Shelton grew up in Ada, Oklahoma, and loved music from a very early age. By the time Blake was 12, he was learning guitar and a few years later won a Denbo Diamond Award – high praise for young entertainers in Oklahoma. The following year (1994), at only 17, he headed off for Nashville. Shelton&apos;s first few years in Music City were dotted with small successes. Though he sold a few tunes to publishing companies, but it wouldn&apos;t be until 1998 that he would land a record deal of his own. In 2001, Blake&apos;s first single, “Austin,” was released to lead his eponymous debut album. The track sat at the top of the country chart for five weeks. Two more cuts – "All Over Me" and "Ol&apos; Red" – were released in 2002 and their success helped push the album into gold sales territory. A year later, Shelton&apos;s sophomore set dropped, The Dreamer. The lead single, “The Baby,” went number one for three weeks. The next two songs off the album, “Heavy Liftin” and "Playboys of the Southwestern World," failed to even make the Top 20, but the album still went gold. For his third time at bat, Blake Shelton&apos;s Barn & Grill came in 2004 and included a companion DVD of music videos. Although the first single missed the mark, the second swing, "Some Beach," spent four weeks at the top of the chart. The two subsequent singles made it into the Top 10 for another gold album effort. Shelton&apos;s fourth effort came in 2007 with Pure BS which included a couple of Top 20 tunes as well as contributions from Blake&apos;s now-wife, country singer Miranda Lambert. Making an interesting follow-up move, Shelton used 2010 to issue two EPs in Hillbilly Bone and All About Tonight. The tactic paid off with three more number one hits with the two title tracks and "Who Are You When I&apos;m Not Looking." With all those notches on his belt, it was time for a greatest hits collection – Loaded: The Best of Blake Shelton. The year&apos;s highlights continued with an induction into the Grand Ole Opry and a Country Music Award for Male Vocalist of the Year. He also repeated his CMA win and added an American Music Award for Favorite Country Male Artist. How Much Do Blake Shelton Concert Tickets Cost? 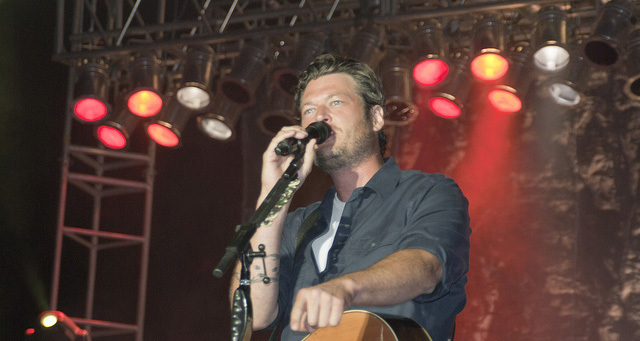 ClickitTicket offers Blake Shelton ticket prices that are economical and right for you. Concert ticket prices may be above or below face value and fluctuate based on supply and demand. Choose the Blake Shelton show above to view the price range. What Cities are on the Blake Shelton Tour? Check above for all the cities that are included on the Blake Shelton tour and to see if it will be stopping in your city. Can I get a Refund for my Blake Shelton Tickets? All ticket sales are final. Our Blake Shelton tickets are unique and can't be replaced, therefore there are no exchanges or refunds. If an event is rescheduled or postponed, your tickets will be honored for the new date. Need Help Ordering Blake Shelton Show Tickets? Our world-class customer service department is available 7 days a week at 1-866-837-0608. A tickets representative can help you choose the best seats for your ticket price range to go to the Blake Shelton concert of your choice.